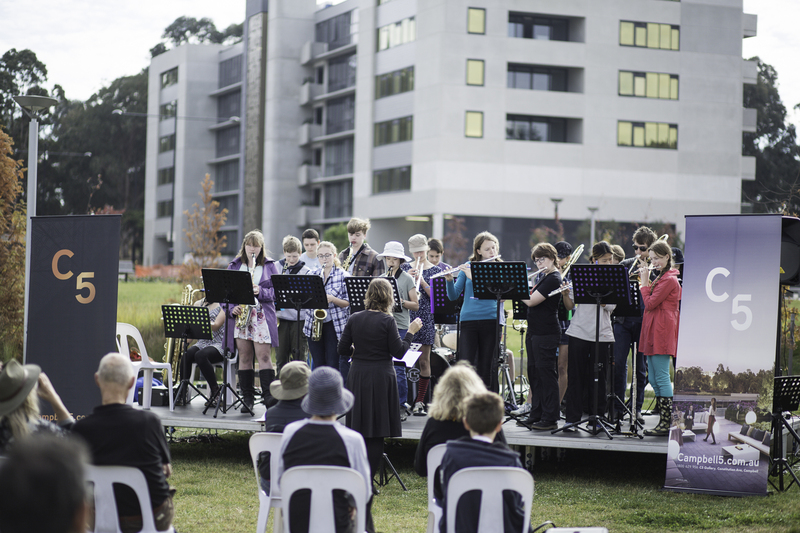 The second annual Campbell 5 Community Festival was held on Saturday 13 May in Hassett Park, Campbell. 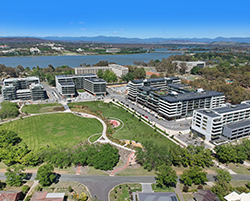 Hosted by JWLand in the award-winning Hassett Park, the free outdoor event brought together local businesses, Campbell residents and the broader Canberra community to enjoy the best Campbell has to offer in food, produce and live entertainment. Over a thousand people attended this year’s event. 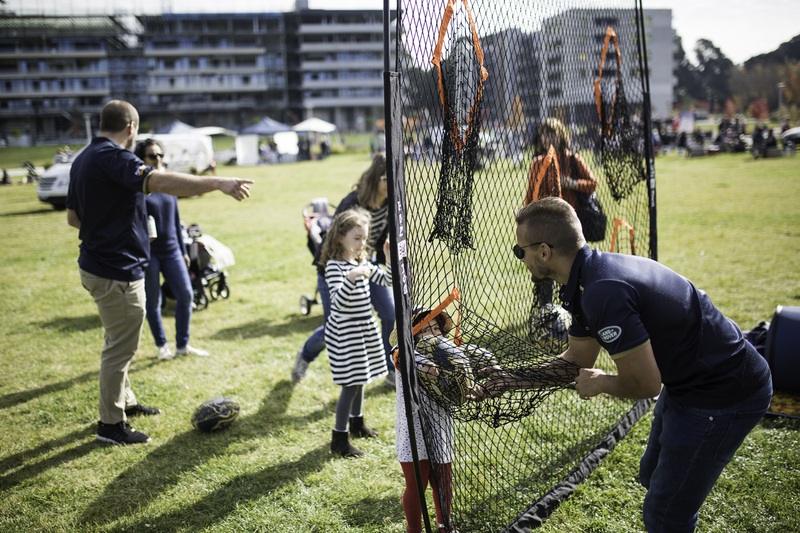 Festival goers were treated to a range of fun family activities including live performances by the Campbell High School band, face painting, a jumping castle, tennis activities for beginners and the opportunity to hone their rugby skills with players from the Plus500 Brumbies. ‘There is a strong sense of community pride among Campbell residents and this year’s Community Festival really showcased that,’ said Kate Hulm, Head of Marketing and Public Relations for JWLand. 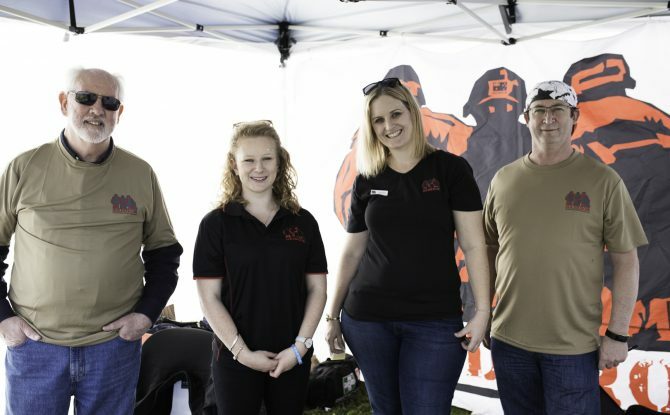 ‘The level of interest and involvement from local businesses and community groups was fantastic and gives the event a unique local character,’ she said. Participating local businesses and community groups included The Campbell Tennis Club, The Lions Club, The Pedlar, Teddy Picker’s Cafe, and Avenue C Wine Co.
First prize in JWLand’s charity raffle was won by Ian Huckel of Queanbeyan. Ian said he planned to give the hand built children’s cubby house valued at $3,000 to his new granddaughter, Isabelle. All proceeds from the raffle and cash donations made by festival goers were donated to JWLand’s event charity partner, Soldier On.